The Memorial Candle Program has been designed to help offset the costs associated with the hosting this Tribute Website in perpetuity. Through the lighting of a memorial candle, your thoughtful gesture will be recorded in the Book of Memories and the proceeds will go directly towards helping ensure that the family and friends of Florence McManus can continue to memorialize, re-visit, interact with each other and enhance this tribute for future generations. 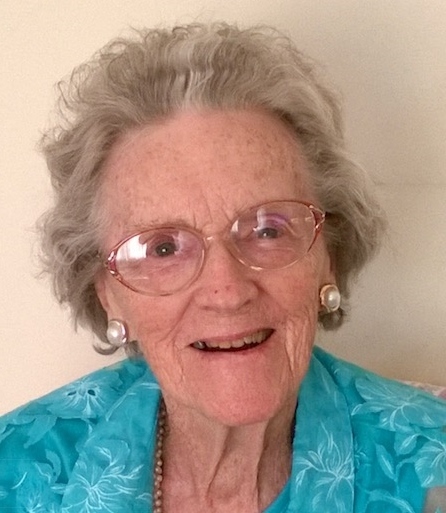 Florence M. McManus, 93, of Wall Twp, passed away at home on August 7, 2018. She was born November 2, 1924 in Bronx, NY to the late Michael and Mary McManus. Florence had many fond memories of the good old days growing up in the Bronx with her siblings William, Kathleen and Margaret whom predecease her. Florence graduated in 1958 from Fordham University and went on to earn her Master's Degree in 1963 from Duquesne University. She had a long and rewarding career in education beginning as a teacher, then guidance counselor and finally Principal of Neshaminy School, Langhorne, PA.
Florence was a devout Catholic and was a longtime parishioner of St Denis Church in Manasquan. She was a strong, intelligent, kind and generous woman. She will be greatly missed by all who knew and loved her. To send flowers to the family of Florence M McManus, please visit our Heartfelt Sympathies Store.